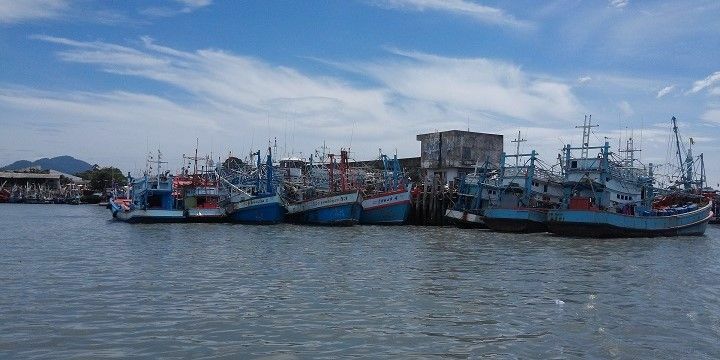 The central region of Thailand stretches from the province of Kanchanaburi in the Northwest, to Prachuap Khiri Khan in the South, and Trat in the Southwest, and includes islands like Koh Samet and Koh Chang in the Gulf of Thailand. 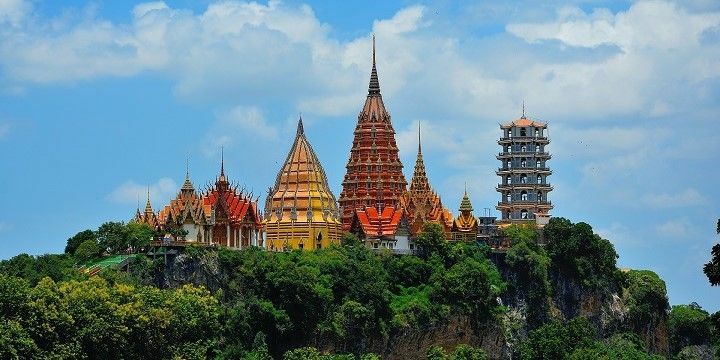 Central Thailand is most famous for the country’s capital, Bangkok, but the area has much more to offer than this city’s often overcrowded streets! Bangkok’s Wat Phra Kaew temple is one of Thailand’s most famous temples, and houses the well-known Emerald Buddha; however, there are plenty more beautiful religious monuments to see across the region. Kanchanaburi, for example, is home to Wat Tham Sua, often known as Tiger’s Cave Temple, thanks to its multiple tiger statues. Wat Tham Sua is also known as Tiger’s Cave Temple. Just five kilometers from this monument lies Wat Ban Tham: located on top of a 200-meter-tall mountain, you’ll need to walk into a cave — the opening of which replicates the mouth of a dragon — to see this spectacular temple. To learn about Thailand’s role in the Second World War, visit Kanchanaburi’s Hellfire Pass. This railway was built by forced labor during the war, tragically killing at least 15,000 workers. 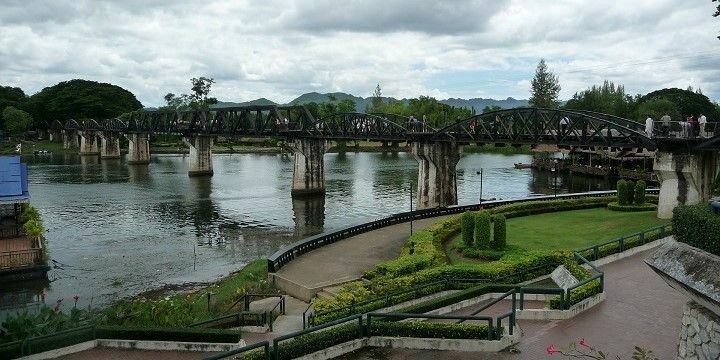 River Kwai Bridge is one of Kanchanaburi's most famous landmarks. For a more upbeat history lesson, visit Maruekhathaiyawan Palace in Hua Hin, which was built by King Rama VI in the 1920s. Visitors are allowed into the beautiful building on every day but Wednesday. During your visit, be sure to check out the King’s and Queen’s chambers, as well as the Sewakamart section, that was used for official functions. The 550 square kilometer Erawan National Park lies about 65 kilometers from Kanchanaburi. Here, you’ll find the spectacular Erawan Falls, a multi-layered waterfall surrounded by beautifully blue pools. Another must-see spot of natural beauty is the island of Koh Chang in the Southeast of the region. At 650 square kilometers, this is the largest island in the Mu Koh Chang National Park, which consists of 52 islands in total. While on Koh Chang, be sure to climb up to the park’s main viewing point for unforgettable panoramic views. 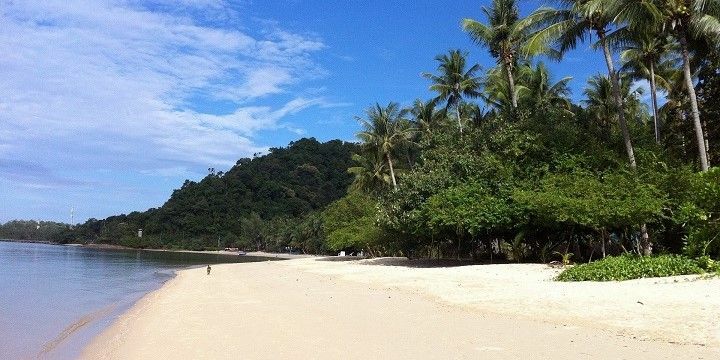 Koh Chang features endless, beautiful beaches. Hua Hin’s Khao Takiab Mountain also offers spectacular views. Often known as Monkey Mountain, you’ll find hundreds of monkeys on Khao Takiab: while they’re generally friendly, you should remember that they’re wild animals, so don’t try to feed them! With its many beautiful islands, central Thailand is certainly not short of incredible beaches. Hat Sai Kaew Beach on Koh Samet is particularly popular among western tourists, meaning it can unfortunately get very dirty, but it’s a great spot for snorkeling, diving, and jet skiing. Koh Samet is particularly popular among western tourists. Pattaya Beach, just south of Bangkok, is also well-visited: the four-kilometer-long sandy crescent is lined with shops and bars, and you can even sail out to sea on floating restaurants! For more splashing and swimming, head to one of the region’s waterparks. The most impressive of these is the Black Mountain Waterpark, located about 15 minutes from Hua Hin. This 40,000 square kilometer park is home to nine types of water slide, a wave pool which creates the biggest waves in Thailand, a lazy river, and a man-made beach. Central Thailand’s beaches offer a great alternative nightlife scene to the busy streets of Bangkok. The island of Koh Chang hosts many upbeat bars and cafés, while Hat Sai Kaew Beach, on Koh Samet, has a large nightclub with two huge dance floors, one of which is located right on the beach. Don't miss out on a Ferris wheel ride in Santorini Park Cha-Am! 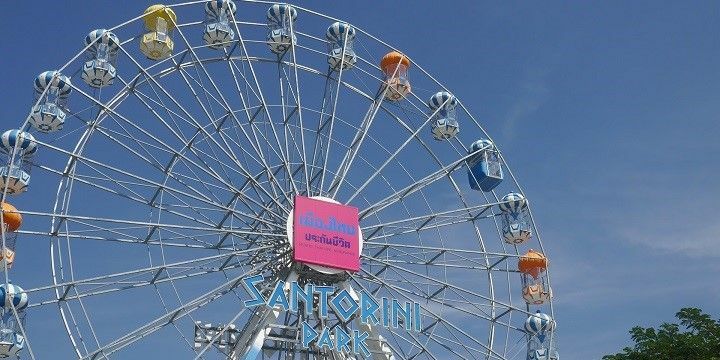 For a more chilled after-dark experience, head to Hua Hin’s Santorini Park Cha-Am, an entertainment park with a Ferris wheel, carousel, restaurants, shops, and more. A similar attraction in the city is Venezia Hua Hin, a shopping village built in the Venetian style, with its own 200-meter-long Grand Canal, along which you can ride replicas of traditional Venetian gondolas. If NextStop24 helped you to choose your next travel destination, we'd be very grateful if you’d search for your accommodation and things to do in Thailand through these links. They're affiliate links, which means that we will receive a small commission for every booking made through them. There are no extra costs for you; you'll simply be helping to keep NextStop24 running. Thanks! Great mix of culture, history, beaches, and nightlife.